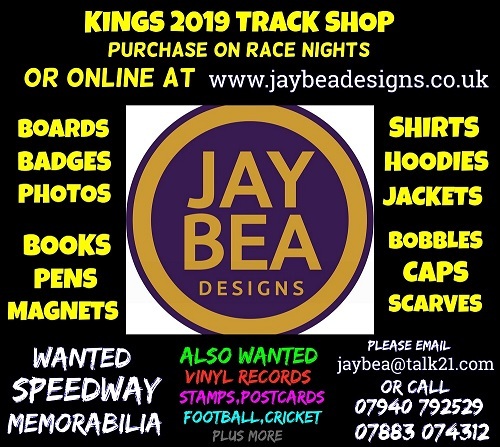 With the curtain set to rise on the much-anticipated 2019 Speedway season for the Kent TouchTec Kings, there's an opportunity for fans to get up close and personal with the new-look side as final preparations are made at next Sunday's (14/4) Press & Practice Day. As has become traditional, in order to give the maximum opportunities for the riders to get invaluable track time the P&P event is held not at the Kings' Central Park Stadium home but at the nearby Speedway training track facility in Iwade. Thanks go out to the Sittingbourne Speedway club for again allowing Kent to welcome the media, sponsors and supporters to this event which will begin at 11.30am on Sunday 14th. April - with the Kings Men out on track from mid-day. And this year there's a unique opportunity for fans to put themselves fully in the picture - literally, as supporters can have their photos taken with the team and/or individual riders from 11.30am. "We really appreciate the fantastic supporters we have, many of whom double up as sponsors too, and the backing they give us and the P&P event being held at Iwade gives an excellent opportunity to allow the fans to meet the riders (in some cases for a first time as we have a number of new recruits) and grab a memento of what we hope will be a memorable campaign, in the form of photos with the team". All the new side will be present - with the exception of Drew Kemp who, as well as being the TouchTec-sponsored Kings' number one in the National League, is also 'doubling up' this term with the Sheffield Tigers in the next division up, the SGB Championship - and the South Yorkshire outfit having now moved to a Sunday afternoon racing slot young Drew will up up there in competitive action. The GB U21 Finalist (having secured seeded into the big meeting in Berwick on the 27th. of this month) has made a sensational start for the Steel City side, roaring to a top-scoring tally of paid 14 on his Tigers' debut and so the Kent management can rest assured their no. 1 will be gainfully employed in racing action though missing the P&P event alongside his new team mates. Of that side, Anders Rowe and Alex Spooner are retained from 2018 - both Anders & Alex are in action at the Isle of Wight two days after P&P hoping to qualify to join Drew in that GB U21 Final, competing in the semi-final of that national championship. They'll be joined at Iwade and on the Isle of Wight by new signings, former Mildenhall starlet Jordan Jenkins and double GB Youth Champion, the reigning title holder at the 250cc class, Nathan Ablitt. 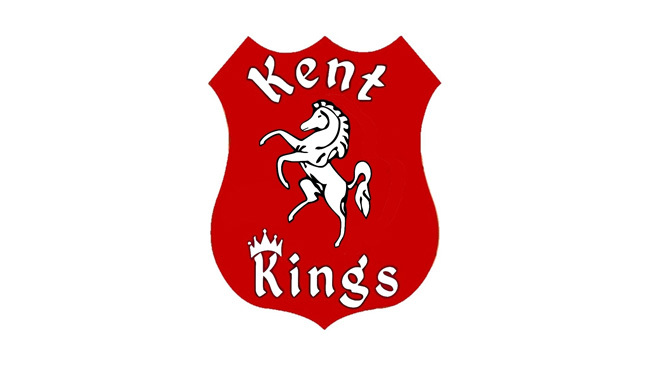 A new signing familiar to Kent fans and for many the rider who was top of their proverbial 'shopping list' when last season came to a close, is the highly rated youngster, Dan Gilkes. This sextet of teens (all aged 18 years are below) are captained by the fifth new face in the team, Rob Ledwith. Hunt is optimistic that the blend put together for an assault on the National League honours after a number of previous near-misses will see further significant progress made. "We've made improvements each year and now in this our seventh Speedway campaign at Central Park, we do think we can make that final breakthrough - with a side which can mount a strong challenge for honours." "The most important thing is that the team, although they haven't yet been together as a unit, do all know each other fairly well, so we're hoping that will be an advantage right from the off. "We've already done a series of get-togethers and we've also had team practices - so it's very much been about getting people to gel together. Sunday's P&P is a very important part of that, bringing the fans, media and sponsors into that equation too". The Press & Practice event is free entry and held on Sunday 14th. April with an 11.30am start time at Iwade Speedway, The Old Gun Site, Raspberry Hill Lane, off Old Ferry Rd., Iwade, Sittingbourne, Kent ME9 8SP.